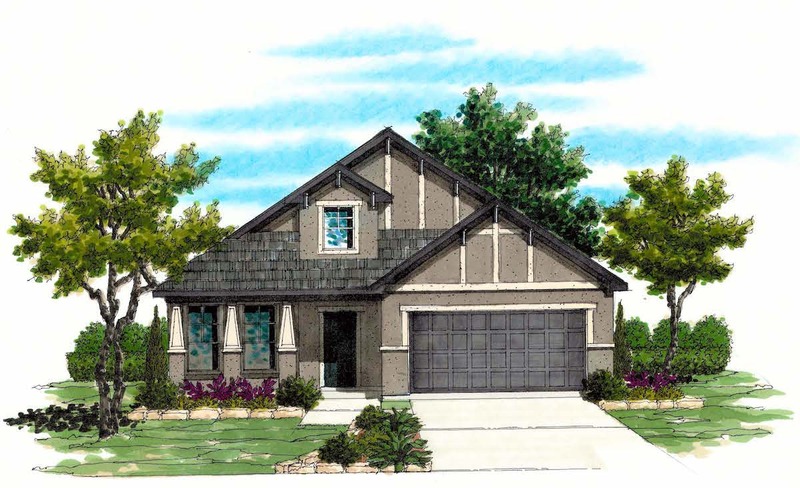 The Lexington is a unique design that offers 3 bedrooms 2 baths with spacious formal dining that can be an optional study. This home features beautiful ceiling detail in the entry, family room, and master bedroom. The Kitchen is equipped with a large arched granite island that is adjacent to a butler’s pantry for serving and a large walking food pantry. The 42-inch upper kitchen cabinets are accented by stainless appliances and beautiful 18- and 20-inch floor tile. The master bedroom has 2 walk-in closets and a spacious master bath that has a large his-and-her vanity with make-up knee space with a large separate tiled shower adjacent to the garden tub. Bedroom #2 can be converted into a private master bedroom retreat for peace and relaxation. The security system, garage door opener, water softener pre-plumb and sprinkler system adds awesome value to a very unique design that fits a variety of wants and needs!